Real-time fitness tracking, at your fingertips, on your iPhone, no extra devices required. Our apps use your smartphone's GPS to record every detail of your workout. Follow your route on an interactive map while logging time, distance, speed, pace, elevation and calories burned. Download Now Looking for a different app? Know where you're going and see where you've been with interactive GPS tracking. Share with your family, friends and fitness buddies via email, Facebook and Twitter. 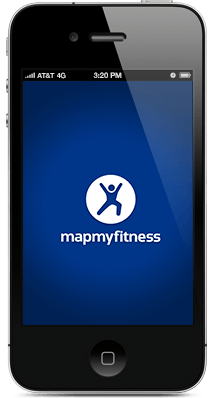 Sync, store and review your mobile data on the MapMyMapMyFitness site. Review duration, distance, speed, pace, elevation and calories burned for each workout. "Great motivator - I love how it tells you how far you've gone and what your time and pace are. It keeps you motivated to go faster or longer and it's so helpful because you don't have to guess anymore!" Check out the rest of our great apps!